Nobody knows a certain date of Palekh foundation. For the first time it was heard about Palekh at the first half of the 17th century, but it is clear that the settlement was before the 15th century. In the years of Andrey Bogolyubsky a Yury Dolgoruky's son in Vladimir and Suzdal Lands some handicraft began to develop and among them there was an icon-painting. Earlier the icons were painted in the nunneries. At the beginning of the 18th century workshops appeared. They united the masters into settlements. This kind of art continued to live at Tartar invasion. At that period there were produced small icons which everybody could take with. Immigrating to those places the people from Vladimir and Suzdal founded Palekh where they had brought their icon painting handicraft. Surrounded by thick forests Palekh led a secluded life for a long time. There were no nunneries around Palekh so that was the reason of document absence on Palekh. One local church record says that the village of Palekh initially belonged to princes Paletskies who descended from princes Starodubskies. When they died the village was given to the State. In 1628 it was presented to Ivan Buturlin. The village had 36 peasants yards, 21 poor landless peasant yards and one yard belonged to ancestral land. The Buturlins owned it till 1861. 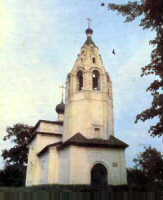 In 1645 Palekh had the Prophet Elijah church and the Church of the Exaltation of the Cross. Palekh was said to be a large village. In our days we have some documents dated to the 17th century. They tell us about icon-painting handicraft in Palekh. Many Palekh family masters (the Korins, the Zubkovs) dated to the 17th century. Mastership was handed down and began to spread around in the nearest towns such as Shuya, Vyasniki, Gorokhovets, Mstyora, Murom, Kholuy. In the middle of the 17th their mastership was heard in Moscow. So Palekh masters were invited to the Tsar Palaces. There is a legend that the tsar icon masters were brought to the Palaces by police officers. Special people began to sell icons among peasants that led to creation of cheap icons and quick production of them in Shuya and Kholuy situated on sell ways. Palekh masters did not do cheap icons. Because of bad roads Palekh was seldom visited by customers and it influenced on the development of Palekh Art. That is why it had kept old icon-painting traditions. In 18th century Vladimir icon-painting was going to end, it was spread only in Mstyora, Palekh and Kholuy. It became the main handicraft of the places. Nowadays we remember some names of old masters of the middle of the 18th century. They were Belyaev, Elijah Bolyakin, Bryukhov, Nikifor Butorin, Peter Korin, Malakhov, Mosakov, Ryabov. Masters of the end of the 18th century were Ivan Bolyakin, Nikita Butorin, Nikita Vakurov, Volkov, Dydykin, Kazakov, Illarion Korin, Vasily Nogovitsyn, Sofonov, Michael Turin, Gregory Udalov, Khohlov, Khrenov. In 1762-1774 in the very centre of Palekh there was built The Church of the Exaltation of the Cross richly decorated by Palekh masters. Nowadays it is a branch of the State Museum of Palekh Art. Up to the 19th century Palekh had kept its simple forms of family icon-painting to the contrast of industrial Mstyora and Kholuy. Palekh masters continued to work both in agriculture and in icon-painting, the last was when they had free time. The process of making icon was not scattered into some small operations as it was when the production was mass. But division of labour existed (there were face painters ("lichnik"), clothes painters ("dolichnik")). The icons were painted there long and carefully on ancient samples that's why they were expensive. Oldbelievers and ancientlovers preferred them. Palekh masters decorated also church walls in different towns all over the Russian Empire. Serfdom didn't interfere with it. Some icon masters could work far from their houses for a long time, enriching their experience. That was why Palekh masters stood higher than ordinary peasants. In 1814 Gyote was interested in icon masters and wanted to receive some knowledge about them. In his answer the Vladimir governor told him about Palekh masters as the most talented ones. 600 peasants were painters but he marked Andrey and Ivan Kaurtsevs. Two icons by their work were sent to Gyote. In the 40s of the 19th century icon-painting workshops began to appear in Palekh. The oldest of them were F.F.Nanykin's, N.I.Korin's, L.M.Safonov's and P.G.Udalov's. In the 60s Belousov brothers went from Sofonov and opened their own workshop. The capitalism began to develop at the second half of the 19th century. Some town elements began to penetrate to Palekh life. The family icon-painting became rarer. The masters began to work for their owners. Some of them began to do business on it. They brought icons and then sold them in the towns. New workshops appeared such as L.I. and M.P.Parilovs', A.T.Karavaykov's, I.F.Erzunov's, Pershin's, D.P.Salutin's, P.M.Sokolov's and others. The process of icon painting began to scatter into small process. Increased output and specialization made their work as craft not art. Many masters founded their own workshops in St. Petersburg (V.M.Iyudin, A.E.Odintsov, P.M.Sokolov, V.N.Suslov), Moscow (I.I.Bakanov, A.A.Glazunov, I.P.Kolesov, I.M.Komarov, I.G.Kuklin, A.S. and M.A.Rogozhins), Nizhny Novgorod (D.A.Salabanov) and other towns. Palekh masters were invited for restored works to Vladimir, Rostov, Yaroslavl, Novgorod. The N.M.Safonov's painters took most complex and important orders. In his workshop 200 masters worked from 418 Palekh masters in all. The most distinguished of them were V.E. and I.V.Belousovs further they founded a workshop in the 1880s. They painted the Granovitaya Chamber and the church of the Annunciation in Moscow Kremlin, the Church of Assumption in Vladimir. Palekh masters were the best wall painters. Restored work opened their mind and enriched their taste. Restored work of Ipatyevsky Cathedral in Kostroma in 1911-1912 (fulfilled by Sofonov's masters) played a great part in it. At the beginning of the 20th century a great number of icon-painting workshops appeared. It led to the low quality and cheapness of icon. The printed icon was the cheapest. Traditional icon-painting began to decline. Kaurtsev's, Khokhlov's and Baturin's workshops were closed. In order to revival the traditional icon-painting the Committee for Protection was founded in 1902. It formed a number of training icon workshops at Palekh, Kholuy, Mstyora with four-year course. They existed up to 1917. The 1917 Revolution struck the fatal-blow to icon painting. As icon and mural paintings were no longer in demand many masters returned to agriculture others tried to go to other handicrafts such as shoemaking, carrier's trading, wickering bast shoes, making toys and dish. Some Palekh masters went to different towns looking for job. In 1918 the former icon-painters formed the First Palekh Co-operative of Decorative Art which started restoring but it soon fell apart. In 1920 they formed a partnership for painting wooden tablewear. Similar partnerships were set up at Mstyora and Kholuy. They painted soft-cellars, scoops, chests, vessels, dolls, etc. A.M.Korin stood at the head of the Association. The painting was bad, the price was low, the quantity of the production was growing. The co-operative went bankrupt. In 1923 I.M.Bakanov, A.V.Kotukhin and I.V.Markichev tried to paint on wood using the old Palekh traditions, but it was not yet the beginning of Palekh lacquer miniature. In 1922 Ivan I. Golikov being in Moscow saw a black papier-mache box from Fedoskino in the Handicraft Museum (now - Museum of Folk Art). He tried to do himself a box like that one. At A.A.Glazunov's studio in Moscow he painted a papier-mache piece using techniques of icon-painting and technology of the Lukutin lacquer work. He chose one of Gustave Dore's illustrations to the Bible "Adam in Paradise", which he repainted by his own way. Glazunov carried it to the Handicraft Museum. The Handicraft Museum supported his venture so he began to create some miniature paintings. Soon I.P.Vakurov and A.V.Kotukhin began to work for the museum too. The museum helped them with advice and finance. It gave them material and money. Then Kotukhin went to Palekh and continued his work there with I.M.Bakanov and I.V.Markichev. In 1923 Palekh masters work won the first price at the All-Union Exhibition of Agriculture and Industry in Moscow. In 1924 Palekh masters took part in the Exhibition in Venice. Their works were of great success. 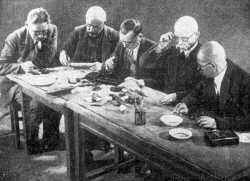 On December 4, 1924 seven masters I.I.Golikov, I.M.Bakanov, A.I.Zubkov, I.I.Zubkov, A.V.Kotukhin, V.V.Kotukhin and I.V.Markichev organized an Artel of Ancient Painting. The first chairman was Alexander V. Kotukhin. First they worked at Kotukhin's. In 1925 their works were a success at the International Exhibition in Paris. A.I.Vatagin, G.M.Bakanov, D.N.Butorin joined the Artel in 1925. I.P. and I.V.Vakurovs, M.V.Dydykin, A.I.Blokhin joined them the next year. A.A.Dydykin, N.M.Zinovyev, L.I.Belousov joined the Artel in 1927. In 1927 the organization had 25 members and in 1932 it had more than 100 members already. But not everything was all right for the first time. Most of the masters did not understand a new trade. A half-finished product was another problem. The masters had to buy it in Fedoskino Artel. In was expensive. So A.V.Kotukhin decided to produce a half-finished product from papier-mache in Palekh. In spite of the fact that Fedoskino masters hid carefully the process of making the product for lacquer painting he could found their secret. He himself went to Fedoskino several times. Kotukhin invited I.S.Babanov doing a joiner's work to their Artel. He was from village Podolino. Soon the production of papier-mache products was set going. The new times demanded new themes and subjects. Indeed their paintings abound in peasantry and revolutionary themes, such as reflecting the heroism of the people, reaping, hay making fishing, hunting, circle-dancing, merrymaking, horse-riding. From the very beginning of miniature art Palekh painters made generous use of folk motives. One of the mainstreams of their art drew upon folk songs, tales by Pushkin, Lermontov, Gorky, epics. The most difficult task to them in a new kind of art was to draw on a thing having form and volume. The range of articles painted in Palekh was very wide including brooches, jars, small boxes, bead-boxes, cigarette-cases, snuff-boxes, powder-boxes, panels, spectacle-cases, tea-chests, glove boxes, inkstands and so on. Articles to be painted by masters were made of papier-mache with black shining surface. Professor A.V.Bakushinsky helped them a lot. He himself was fond of handicraft trade and came to Palekh very often. Being widely educated historic he helped Palekh masters to investigate the complex icon-painting inheritance. Teaching principles of the new art was one of their main concern from the very beginning. On October 1926 the first pupil P.D.Bazhenov by name appeared. Apprenticeship was officially permitted in 1928. In 1929 much money were given by the Government for it. The most skilful masters became the teachers in school. In 1930 the Artel joined the All Co-operative Industrial Union. On January 24, 1932 the exhibition "Palekh Art" was opened in Moscow, which won wide acclaim both among laymen and among experts for their superb paintwork, virtuosity of skill, beauty and elegance of colour combinations, temper, bright outlook on life and high poetry. A.V.Bakushinsky, an eminent art student of the time wrote a book "Palekh Art". A.V.Lunatcharsky wrote an introduction to it. 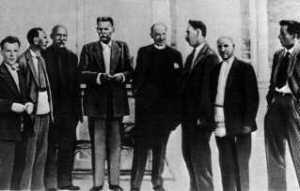 On May 9, 1932 a delegation of Palekh artists with I.I.Golikov at the head visited A.M.Gorky, the famous Russian writer. In earlier times he himself was a pupil in D.A.Salabanov's workshop in Nizhny Novgorod. He knew some old Palekh masters. He thought highly of Palekh art and named it as a revolutional miracle, he did a lot for the masters in Russia and abroad, helped them by money. He helped the Artel to organize the library. The same year I.I.Golikov began to design a book "The Lay of Igor's Host". The book was issued in 1934 by Publishing House "Academia". He didn't only illustrate the book but also wrote the text by brush. Palekh celebrated the tenth anniversary of the Artel on March 1935. There came some hundreds of delegates. The Great meeting was opened by A.S.Bubnov a Minister of Education of the RSFSR. The State Museum of Palekh Art was opened by the date. 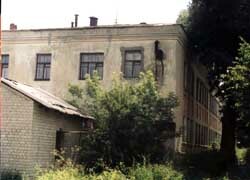 The Artel was renamed into Association of Palekh Artists with A.I.Zubkov at the head of it up to the 1938. 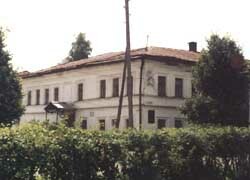 The Vocational school was reorganized in Art Technicum (later on Palekh Art College). Palekh itself became a district centre of Ivanovo region. Repression of 30-40s did not pass Palekh artists. In 1938 A.I.Zubkov was arrested and died in prison. Having graduated from the Moscow art schools a group of artists was sent to Palekh to help the artists to overcome the influence of old Russian art and increase their output. The result was that Fedoskino-like works appeared. At the beginning of the 40s after finishing Palekh Art College T.I.Zubkova, A.A.Kotukhina, F.I.Klyushkina, I.A.Chelyshev, P.F.Chalunin, A.V.Borunov joined the Association. Along with the older masters they did much for preserving the tradition of Palekh lacquer miniature. When the Great Patriotic War began the orders were broken, the salary was not paid. Some masters joined the Army, others joined the labour front. Only the olders stayed. There was made a decision to close the Association. So it was done in Kholuy and Mstyora. I.V.Markichev was at the head of the Association and he could defend it. The members of Association decided to continue their work but their number was small. In January 1942 15 artists began to work. They fulfilled orders as presents for WPRA, portraits, did joiners and painter's work. May 9, 1945 came. Not everyone came back from the war. A.F.Arkhireyev, P.D.Bazhenov, V.A.Eryomin, B.I.Erzunov, V.P.Erzunov, G.I.Golikov, N.A.Khokhlov, A.V.Kosarev, A.Ya.Makarov, M.F.Malakhov, V.M.Palikin, V.M.Salabanov, V.V.Sharapov, N.I.Shemarov, F.I. 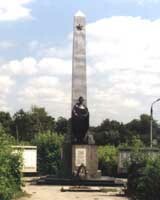 and S.I.Shtykovs, A.E.Shuranov, N.A.Surkov, B.V.Teryokhin, N.M.Turin, S.I.Tyushkov, S.D.Vitsyn were killed during the war. In 1947 Palekh became a worker settlement. At the same year a group of painters heading by N.M.Zinovyev fulfilled a restoration of the Assumption Church's outside frescos in Moscow Kremlin. D.N.Butorin, A.I.Vatagin, A.A.Dydykin, I.V.Markichev, N.M.Parilov took part in this work. The work was very complex. The latest paintings were taken away and the first layer was renewed. Another large restored work was done in 1955-1959. It was a work in Lacquer Study of Monplaisir Palace in Petrodvorets. During the fascist occupation Petershof's Palace Complex was destroyed and plundered. Only three demaged panels were left. Almost the whole study they restored by photoes and description. This work was fulfilled by T.I.Zubkova, A.V.Borunov, G.M.Melnikov, V.V.Bolshakov, Yu.A.Vinogradov and V.N.Smirnov under the head of N.M.Zinovyev. In 1954 the Association was transformed into Palekh Art-production Workshops of the USSR Art Fond. The first director of workshops was A.G.Bakanov. At the same time there was founded the Palekh Branch of Artist Union of the RSFSR. The first Chairman of it (1954-1970) was elected G.M.Melnikov. In the 1960s many talented painters arrived at Palekh and among them there were B.M.Ermolayev, N.I.Golikov, A.D.Kochupalov, A.S.Peskov, V.M. and T.M.Khodovs, A.N.Klipov, S.A.Butorin, V.V.Mukhin, G.N.Kochetov, I.V.Livanova, N.P.Bogachyova. In the 1970s V.V. and N.B.Buldakovs, N.B.Gribov, Yu.A. � E.F.Grosbergs (Schanitsyns), V.G.Zotov, A.I.Kamanina, N.P.Lopatin, L.K.Nekrasova (Melnikova), O.S.Subbotina (Smirnova) joined them. All of them took the traditions of Palekh seriously and started working them out imaginatively. The 1980s can be rightly called the period of the renaissance of Palekh Art with their names. In 1968 I.I.Golikov's House-Museum was opened. 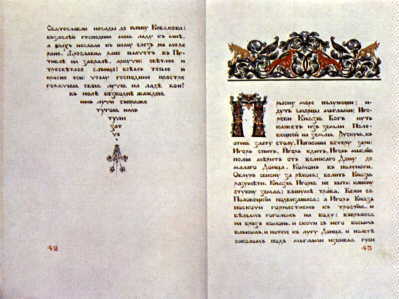 In 1971 the Palekh Artist organization was awarded by the Order of Honour. 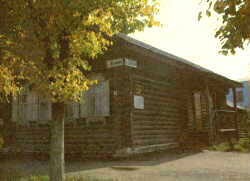 In 1974 Pavel D. Korin's House-Museum was opened. He was a People's Artist of the USSR. On December 8, 1984 Nikolay M. Zinovyev's House-Museum was opened in the village Dyagilevo Palekh district by the 60th anniversary of Palekh Art. Zinovyev was a People's Artist of the USSR. In 1989 on the base of Palekh Art-production Workshops was founded Creative Production Organization of Artist Union of Russian Federation. It was called as Palekh Comradeship. S.I.Kamanin is the chairman of it. And there is another organization Co-operative of Palekh Artists (the chairman is A.V.Dudorov). Later on there appeared some more small organizations "Palekh Masters" (the director is M.R.Belousov), creative workshop "Paleshane" (the leader is B.N.Kukuliev), joint-stock company "Palekh" (the director is A.M.Zubkov). In 1990-1992 a group of masters has painted a new iconostasis for the Church of Prophet Elijah in Palekh under the leadership of V.G.Zotov. 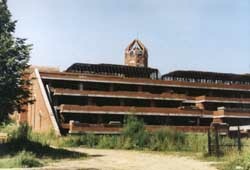 In 1992 Co-operative of Palekh Artists founded their own school.